I broke the only rule in my mom’s office for “bring your dog to work day” and pooped within the first hour of getting there. Just sheer excitement, nothing personal peeps! “That’s what I think of this job”. Get over it. It’s a dog. Clean it up and move on. 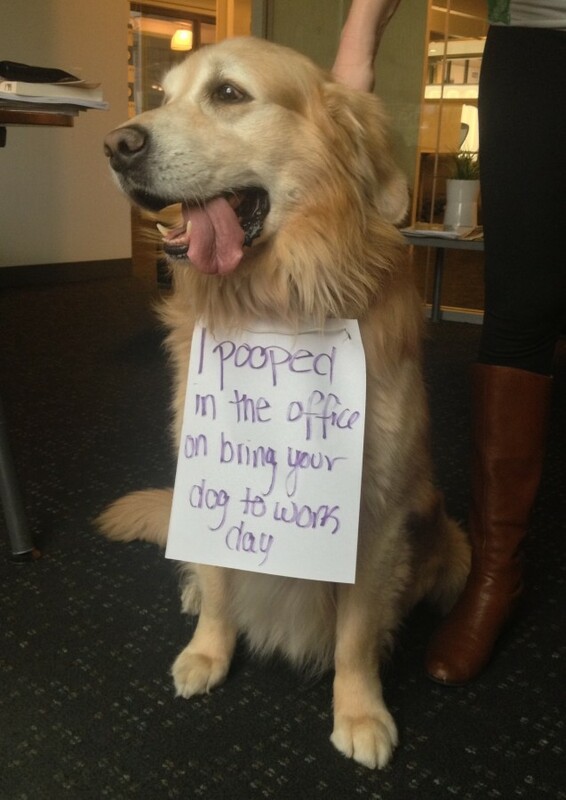 I only wish I could poop in my office!